I read a story in The Guardian today about a native-born Texas man named Eric Kennie who, for various reasons, is unable to secure the state-approved identification necessary to comply with the rather stiff new voting laws in his state. He doesn’t own a car and does not drive, so he has no driver’s license. He has never traveled outside his native city of Austin, or even outside the state, so he has no passport. He’s never served in the military, never held a concealed weapon permit, and his only state-issued credential, an ID card, expired in 2000. For all the state of Texas knows or cares, he doesn’t even exist. And, at least in this election cycle, he and his vote will be as absent as if he really didn’t. This story made me realize that an identity is a product, and it is not free. In fact, it is both expensive and valuable, which makes it a form of wealth. I have a passport, a driver’s license, credit cards, bank accounts and utility accounts in my name. I am licensed by my state as a certified nursing assistant, and it has my fingerprints on file from when I was licensed as a real estate agent. I own a business, a house and a vehicle, all properly licensed and registered and insured. I have a computer with an internet connection, so I am plugged into a variety of social media platforms. In every possible way one can provably and “legitimately” exist in this world, I do. And of course I am a registered voter. All of this costs money, one way or another. Registering anything with the state always entails fees. Except being a voter. Or so I always thought. Casting a ballot in any election, at least in my state at this time, appears to be free. When I show up at my polling place at a nearby elementary school, I have only to say my name and sign my name to show that I received my ballot—they don’t ask me to prove anything because my name is written on their rolls. I don’t remember what I had to produce to get my voter ID card (which I’ve never once been asked to show); probably a current utility bill and my driver’s license. It was no different from getting a library card or an account at the video store. I never considered identification to be a burden or a barrier because I’ve had a driver’s license and utility service for more than 30 years. Being unable to produce “proper” identification is completely foreign to me, entirely beyond my range of experience in this world. I take such things so completely for granted that I am baffled that anyone wouldn’t always have both. Must be nice to be me, right? I never considered my state-recognized identity to be an expense, until now. 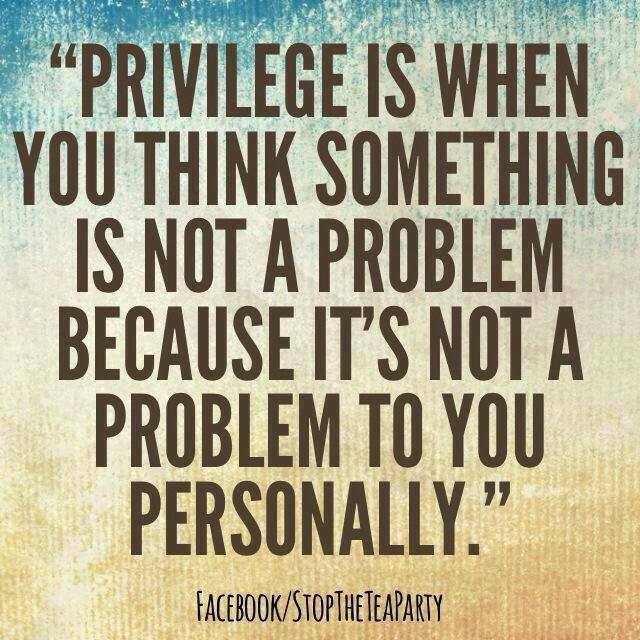 I’ve always considered it a right rather than a privilege, but apparently it is more the latter than the former. Which is scary because privileges granted by the state can also be taken away by the state with the stroke of a pen. I exist as a person and as a United States citizen with “certain unalienable rights” only at the pleasure of the state, and it could take all that away from me for any reason or no reason at any time. The state of Texas has taken away Mr. Kennie’s right to vote, essentially, simply because he lacks the means and the will to participate in American society in the ways the state believes he should. I like to think that I have done everything right and nothing wrong in my life and that therefore I am perfectly safe from my own government, which is dedicated to protecting my sacrosanct “rights.” But this is merely a comfortable illusion created mostly by the unearned privileges I enjoy because of my class, race and (although I have never thought of it as such) wealth. I have all the protection that middle-class white money can buy—no more, no less. So how safe am I, really? How safe is any one of us?